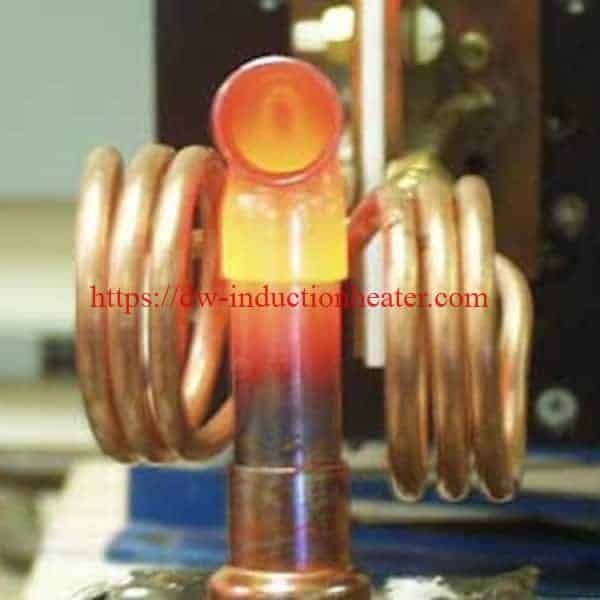 Induction Heating is used to cure organic coating such as paint on metallic substrates by generating heat with in the subtract .By this mean curing occurs from within minimizing the tendency for formation of coating defects . 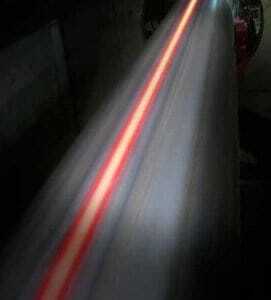 A typical is application is drying of paint on sheet metal. 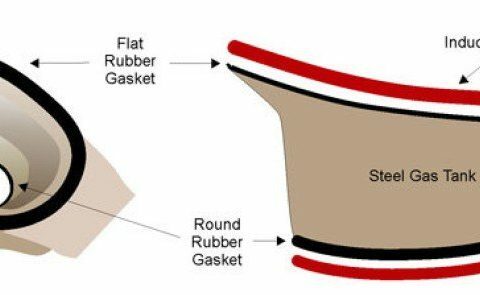 Induction heating of metal parts to adhesive induction curing temperatures is utilized in a many automotive processes, such as the use of thermosetting adhesives to produce clutch plates, brake shoes and auto bumper components. Shafts are typically bonded to the squirrel cage rotors in the manufacture of small motors. In copying machines, plastic components are adhesively bonded to aluminum rotors; a thermoplastic glue is used to hold foam rollers on metal shafts. Once the rollers wear out, the shaft is heated and the foam replaced. 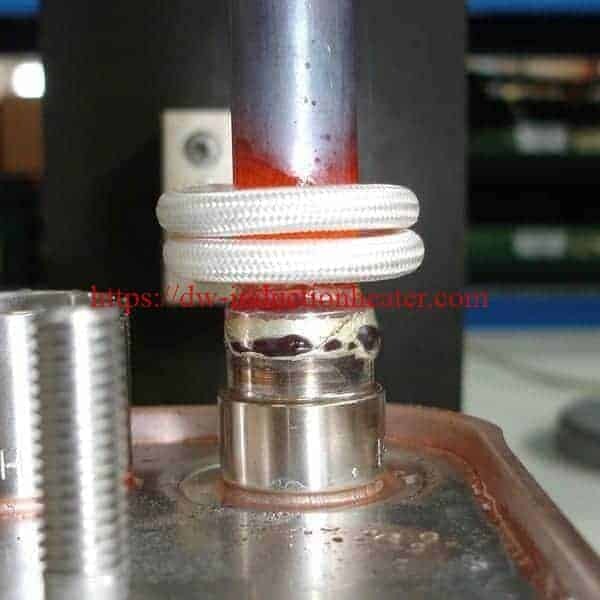 Although induction heating is normally used with metals or other conductive materials, plastics and other non-conductive materials can often be heated very effectively by using a conductive metal susceptor to transfer the heat. Typical RF power supplies for induction curing applications range from 4 to 60kW, depending on the parts and application requirements. In order to want to improve safety and productivity, and reduce energy costs, by using induction instead of resistive heating. To maximize productivity, they want to be able to heat 3 brass rods at a time to 780° C within 25 seconds. 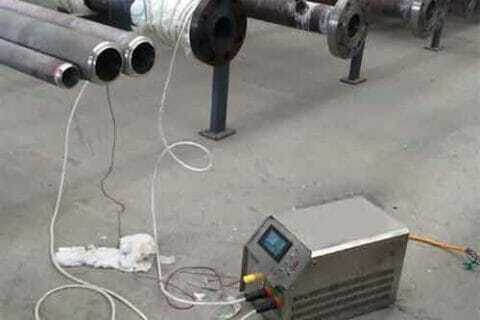 For this application test, we are only heating one rod, so our goal is to heat the single rod to 780° C within 25 seconds with less than 45 kW of power. This will ensure that when heating 3 rods, that the 110 kW system will meet the production requirements. 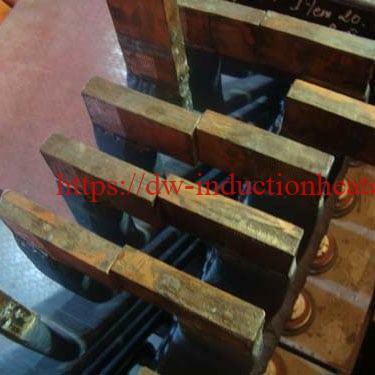 • Custom coil, 10 turns, D=50mm, designed and manufactured by DaWei Induction Power Technologies for this specific application – capable to heat 3 rods at a heat cycle. 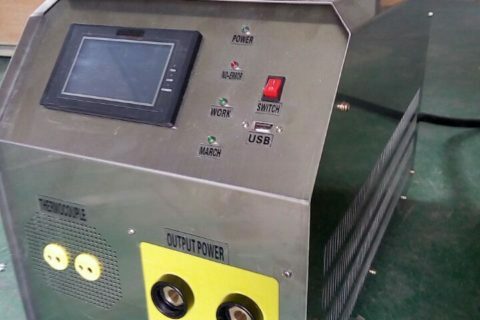 The DW-HF series Power Supply was connected to the DW-HF-70kw Heat Station. The custom Coil was attached to the Heat Station. The Brass rods were placed inside the Coil. The Power Supply was turned on. 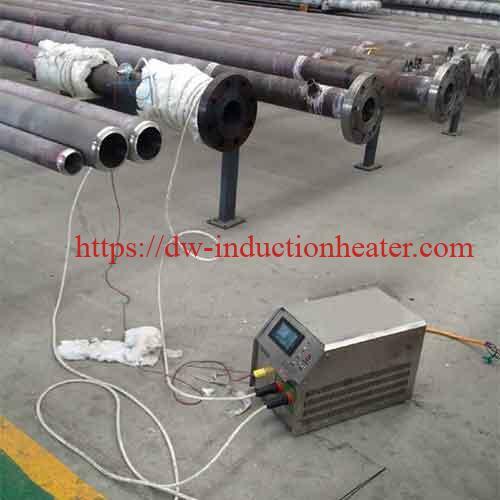 The DW-HF series operating at 20 kW was able to successfully heat the single brass rod within 24 seconds, which was less than the 25 second time requirement established for the test. Three brass rods are expected then to heat within 25 seconds with approximately 60 kW of power (3 rods will be 3x the load and 3x the power). The 90 kW Induction system will therefore meet the customer’s requirements. A source of high frequency electricity is used to drive a large alternating current through a induction coil. 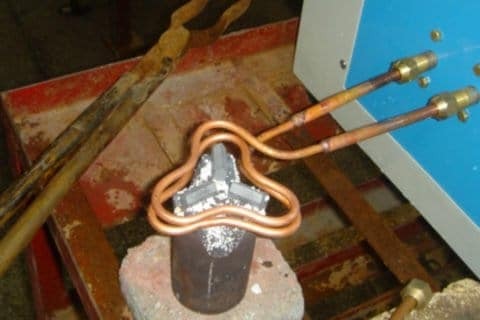 This induction heating coil is known as the work coil. See the picture opposite. 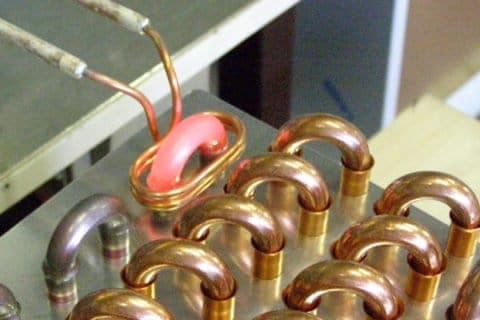 The passage of current through this induction heating coil generates a very intense and rapidly changing magnetic field in the space within the work coil. 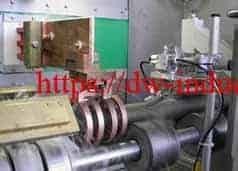 The workpiece to be heated is placed within this intense alternating magnetic field. The alternating magnetic field induces a current flow in the conductive workpiece. 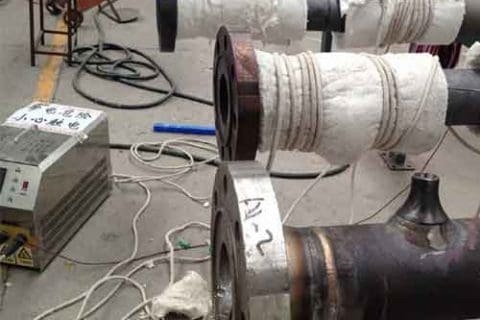 The arrangement of the work coil and the workpiece can be thought of as an electrical transformer. The work coil is like the primary where electrical energy is fed in, and the workpiece is like a single turn secondary that is short-circuited. This causes tremendous currents to flow through the workpiece. These are known as eddy currents. 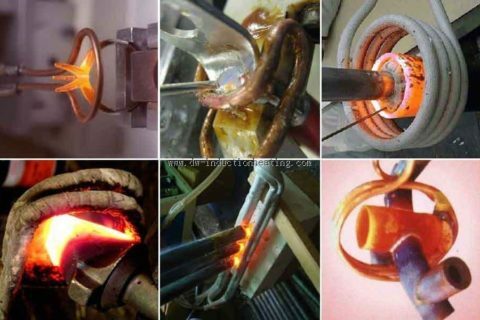 In addition to this, the high frequency used in Induction Heating applications gives rise to a phenomenon called skin effect. This skin effect forces the alternating current to flow in a thin layer towards the surface of the workpiece. The skin effect increases the effective resistance of the metal to the passage of the large current. 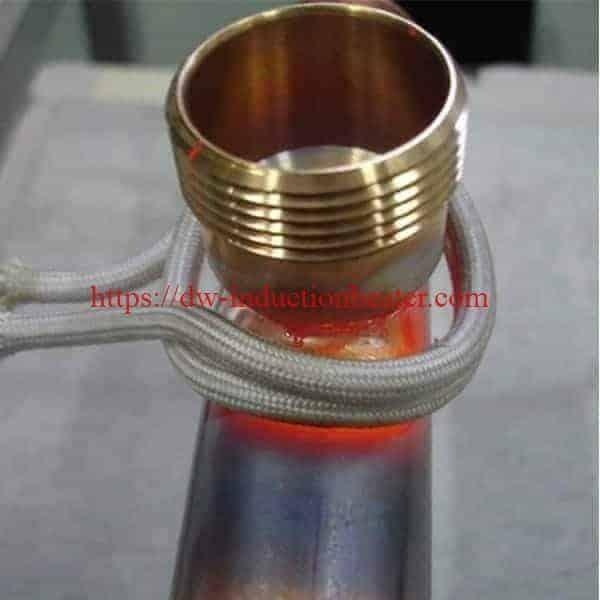 Therefore it greatly increases the induction heating effect of the induction heater caused by the current induced in the workpiece. 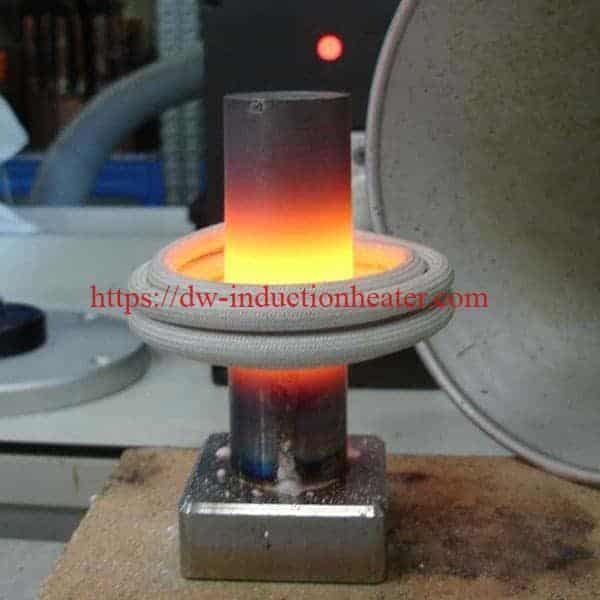 Magnetic Induction Heater is a process equipment which is used to melt,braze,forge,bond,heat treating,harden or soften metals or other conductive materials. 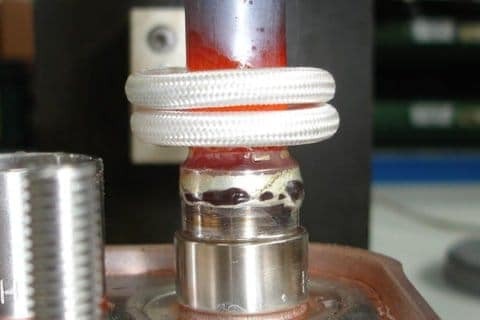 For many modern manufacturing processes, Magnetic induction heating equipment offers an attractive combination of speed, consistency and control.The basic principles of magnetic induction heating have been understood and applied to manufacturing since the 1920s. During World War II, the technology developed rapidly to meet urgent wartime requirements for a fast, reliable process to harden metal engine parts. More recently, the focus on lean manufacturing techniques and emphasis on improved quality control have led to a rediscovery of induction technology, along with the development of precisely controlled, all solid state induction power supplies. 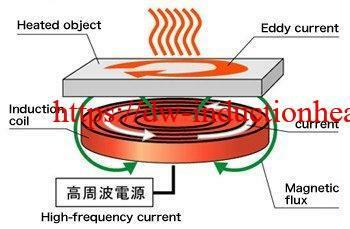 Magnetic Induction Heater relies on the unique characteristics of induction heating radio frequency (RF) energy – that portion of the electromagnetic spectrum below infrared and microwave energy. 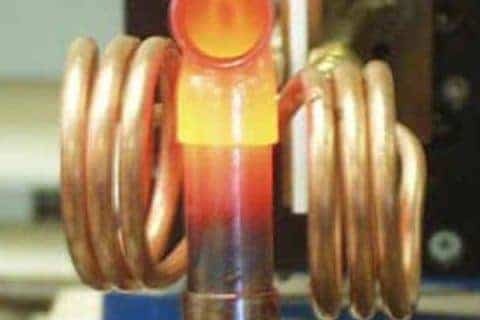 Since heat is transferred to the product via electromagnetic waves, the part never comes into direct contact with any flame, the inductor itself does not get hot, and there is no product contamination. When properly set up, the process becomes very repeatable and controllable. 1.IGBT module and soft switiching inverting technologies are as in the production of the generator,higher reliability can be do. 2. Small and portable ,compared with SCR controlled machine only 1/10 working space is needed. 4. The generator is adatable in a large frequency range from 1KHZ to 1100KHZ,installation can be done very easily according to our manual. 5. 100%duty cycle ,continuous working ability at maximum power. 6. Constant power or constant voltage control mode. 7. Display of output power,output frequency,and output voltage. 1. IGBT module and inverting technologies of the first generation been used. 2. Simple structure and light weight and easy for maintenance. 3. Simple to operat ,afew minutes is enough to learn it. 4. Simple to install,installation can be done by unprofessional person very easily. 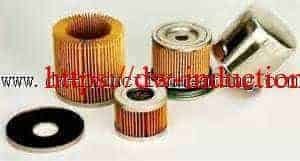 5. advantages of the model with timer,the power and the operatingtime of the heating period and the rain period can be preset repectively,to realize a simple heating curve,this model is suggested to use for batch production to improve the repeatability. 6. The separated models are designed to fit the dirty surrounding of some cases. 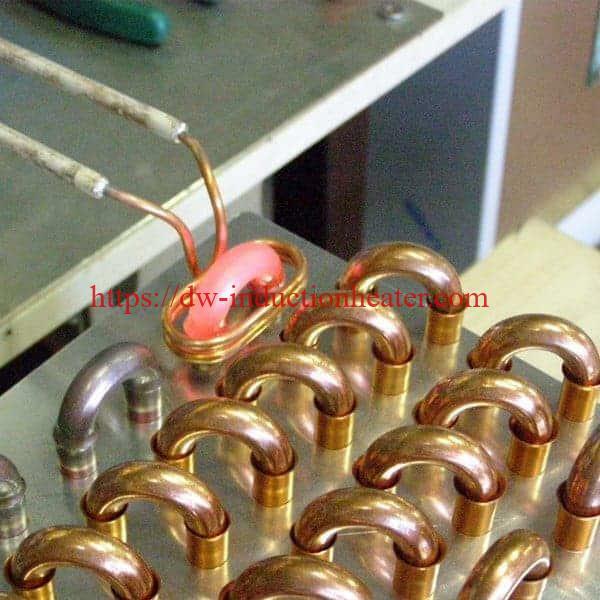 Induction Brazing Basics for jointing copper,silver,brazing,steel and stainless steel,etc. 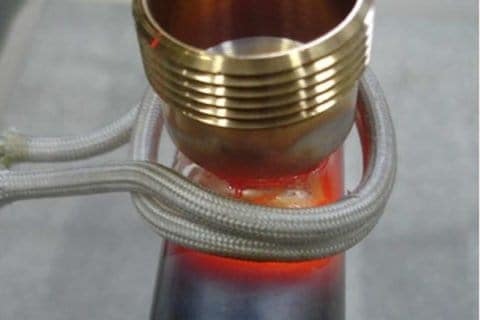 Induction Brazing uses heat and filler metal to join metals. Once melted, the filler flows between close-fitting base metals (the pieces being joined) by capillary action. The molten filler interacts with a thin layer of the base metal to form a strong, leak-proof joint. Different heat sources can be used for brazing: induction and resistance heaters, ovens, furnaces, torches, etc. There are three common brazing methods: capillary, notch and moulding. Induction brazing is concerned solely with the first of these. Having the correct gap between the base metals is crucial. A too-large gap can minimize the capillary force and lead to weak joints and porosity. Thermal expansion means gaps have to be calculated for metals at brazing, not room, temperatures. Optimum spacing is typically 0.05 mm – 0.1 mm. 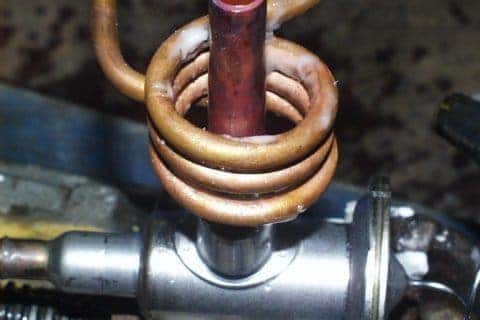 Before you braze Brazing is hassle-free. But some questions should be investigated — and answered — in order to assure successful, cost-effective joining. 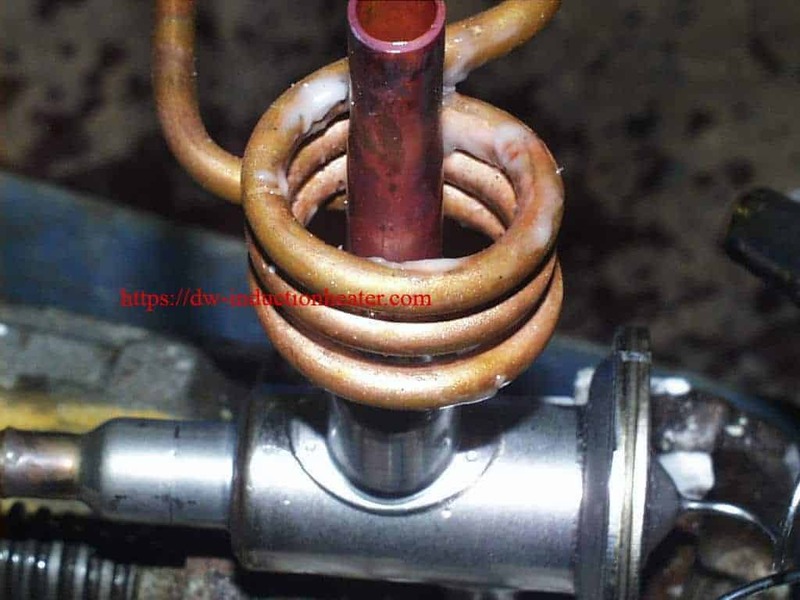 For instance: How suitable are the base metals for brazing; what’s the best coil design for specific time and quality demands; should the brazing be manual or automatic? can be used to braze copper alloys, brass and bronze. 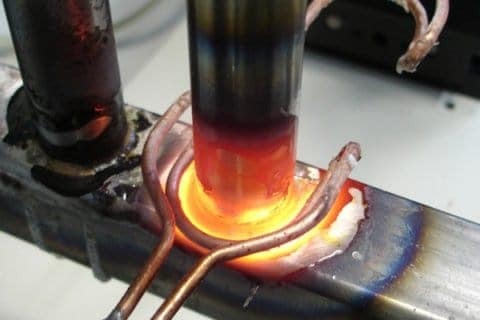 Flux-free brazing is also possible with active atmospheres and vacuums, but the brazing must then be performed in a controlled atmosphere chamber. Flux must normally be removed from the part once the metal filler has solidified. 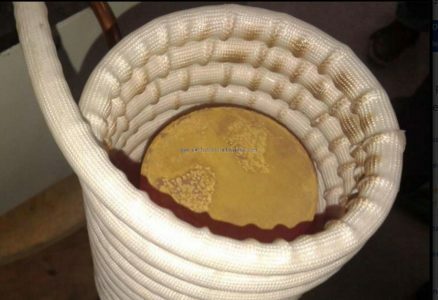 Different removal methods are used, the most common being water quenching, pickling and wire brushing. 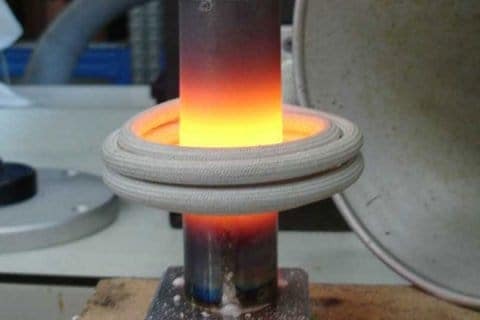 Induction heating transfers more energy per square millimeter than an open flame. Put simply, induction can braze more parts per hour than alternative processes. Induction is ideal for in-line integration. Batches of parts no longer have to be taken aside or sent out for brazing. Electronic controls and customized coils let us integrate the brazing process into seamless production processes. 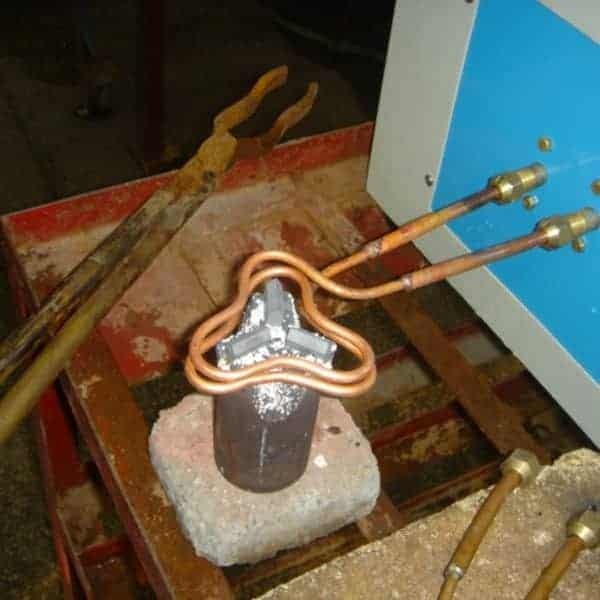 Induction heating is controllable and repeatable. Enter your desired process parameters into the induction equipment, and it will repeat heating cycles with only negligible deviations. 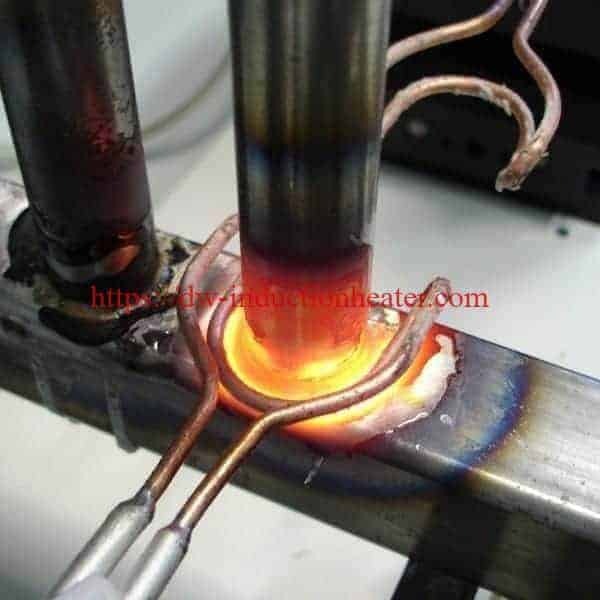 Induction lets operators view the brazing process, something that is difficult with flames. This and precise heating minimize the risk of overheating, which causes weak joints. Open flames create uncomfortable working environments. Operator morale and productivity suffer as a result. Induction is silent. And there is virtually no increase in ambient temperature. DAWEI Induction brazing equipment has a small footprint. Induction stations slot easily into production cells and existing layouts. And our compact, mobile systems let you work on hard-to-access parts. Induction produces heat within the base metals — and nowhere else. 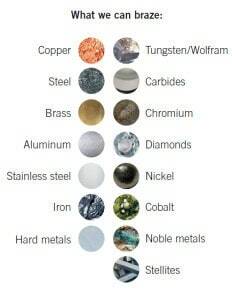 It’s a no-contact process; the base metals never come into contact with flames. This protects the base metals from warping, which in turn increases yield and product quality. 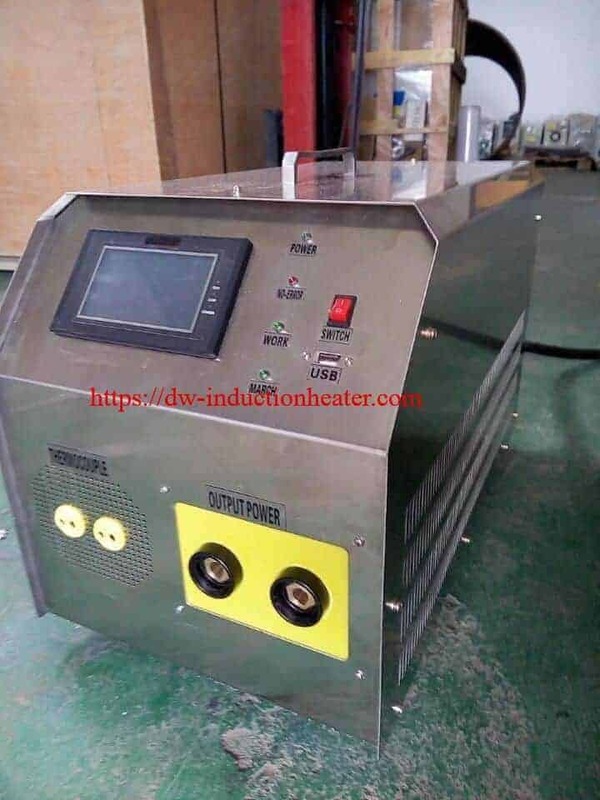 an DAWEI Induction Heating generator that features automatic load matching and a constant power factor at all power levels. Most of our delivered systems also feature custom-built handling and control solutions. Automated induction longitudinal welding is a reliable, high-throughput process. The low power consumption and high efficiency of DAWEI Induction welding systems reduce costs. Their controllability and repeatability minimize scrap. 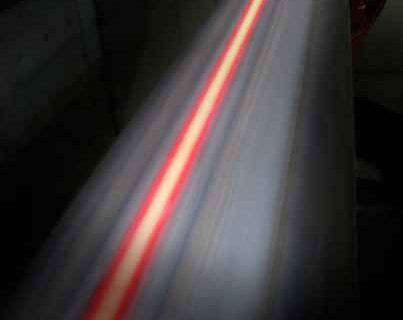 Our systems are also flexible—automatic load matching ensures full output power across a wide range of tube sizes. And their small footprints make them easy to integrate or retrofit into production lines. which heats small segments of the materials to be joined; full-ring bonding, which heats complete joints. all coil reduces the need for spare coils. 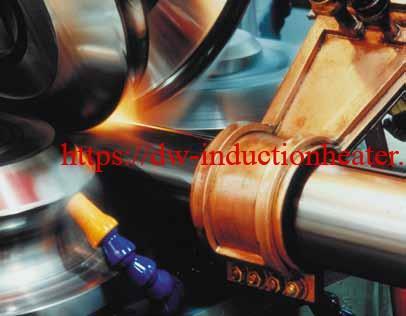 Induction is the preferred bonding method in the automotive industry. Widely used to bond steel and aluminum sheet metal, induction is increasingly employed to bond new lightweight composite and carbon fiber materials. Induction is used to bond curved strands, brake shoes and magnets in the electrotechnical industry. It is also used for guides, rails, shelves and panels in the white goods sector. DAWEI Induction is the professional induction curing specialist. In fact, we invented induction spot curing. The equipment we deliver ranges from individual system elements such as power sources and coils, to complete and fully supported turn-key solutions. in workpieces that have already been hardened. 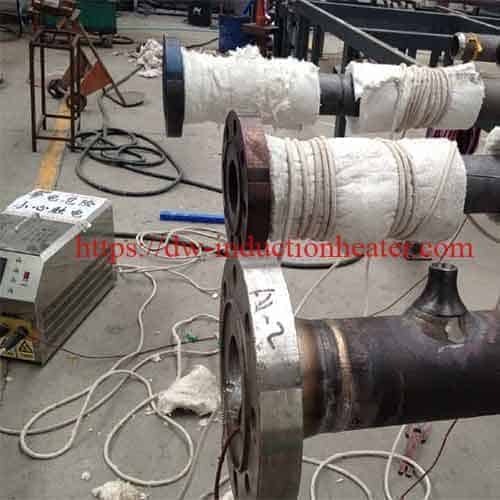 The main advantage of induction over furnace tempering is speed. Induction can temper workpieces in minutes, sometimes even seconds. Furnaces typically take hours. And as induction tempering is perfect for inline integration, it minimizes the number of components in process. Induction tempering facilitates quality control of individual workpieces. Integrated induction temper stations also save valuable floor space. Induction tempering is widely employed in the automotive industry to temper surface-hardened components such as shafts, bars and joints. The process is also used in the tube and pipe industry to temper throughhardened workpieces. 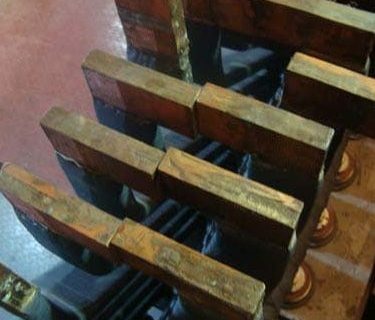 Induction tempering is sometimes performed in the hardening station, sometimes in one or several separate temper stations. then being used for tempering. 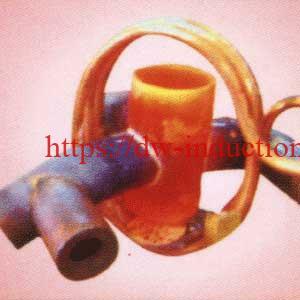 Solid state DAWEI Induction Heating Systems are also used for tempering applications.